A Complete A to Z start-up guide on how to create a blog and make money with a blog? Everyone, absolutely everyone when we started we asked ourselves this question, or more generally “how to make money with a blog”? And the first thing that comes to mind are those ads that we see on many websites. But there is a whole world beyond Adsense when it comes to monetizing a blog. Pay close attention to this article because if you want to know how to make money with a blog or if you are still looking for different ways to generate income online this entry will interest you. Warning, it’s a long article, but I do not want to leave any point untreated. Are you ready to know how to make a blog and earn money? Well, let’s go for the money! Getting money with a blog is something that is available to anyone (as long as you strive to get it and have patience). But, how much money can be earned with a blog? It is a rather complicated question to answer because it depends on many factors. You can see cases of bloggers who barely earn a few cents a month to American bloggers who make up to 6 figures per month. So knowing how much a blogger earns depends on many factors (time, authority, business model, ways to monetize it, etc.). So if you think that with a blog you will earn a lot of money without effort and in a few months it will be better to dedicate yourself to something else. The first thing you should know is that you do not have to dedicate yourself full time to the blog to earn money with it. But it is clear that the more time and effort you devote to your project, the greater the profits. 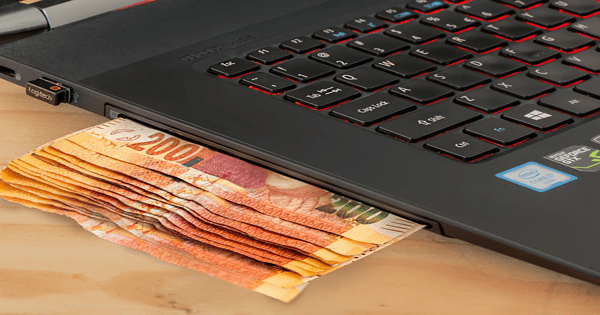 To know how to make money with a blog on the internet you will have to invest time and money in training and in your project as in any other business. A professional blog is an online business and you have to treat it as such. So if you are a blogger who has not been around for a long time or if you still do not know how to make money with a blog, here are 5 basic but essential steps. Obviously, if you want to make money with a blog you will have to have a blog. Can you make money with a free blog? This is one of the most common questions and the answer is clear: yes. However, you should take this very carefully. The free is almost never the best option and in this case, it is clear that no. When you decide to create a free blog you have to keep in mind that you will not have full control over it and the chances of making money with your blog are quite limited. This is a great risk, especially if you are serious about your blog. The free platform that you use to create it can close the blog or change its policies to monetize it without notifying you. Therefore it is a risk that many people are not willing to commit. My recommendation to have absolute control over the ways to make money with a blog and about the blog itself is to create a professional blog with a hosting of its own. The job of a blogger is to write truly useful and valuable articles for the user. To make money with a blog you need visitors and readers. And to have visitors and readers you must write good content. It provides information about what you are looking for. Calm and appease your fears. Teach something new (tutorials, guides, …). Write articles and excellent posts, speak from your knowledge and experience and solve or provide what the reader is looking for. That is really the value content. In addition to creating valuable content, you must do networking. Create relationships and a community outside the blog both in the offline world and social networks and other blogs and websites. Not only is it enough to be active on your social profiles and automatically post on Facebook or Twitter. Participate in Facebook groups of your theme or create your own. Start conversations on Twitter with readers or bloggers that you follow. Comment on other blogs providing extra information or solving doubts. Always respond to comments on your blog or social networks. Register in forums of your topic and participate in the debates. Write a guest post on other blogs. Support and share content from other blogs. Be friendly and focus on meeting people and not on taking advantage of a relationship. The goal is to be helpful, talk about what you know and build relationships with other people interested in your topic. Continue Reading: How to drive instant traffic to a blog page in seven ways? Form and continue writing and improving the valuable content that you contribute to your blog. Work on social networks and establish yourself as a benchmark in your sector. This is not done overnight, it takes a lot of effort, time and perseverance but it is essential for building your authority and confidence in the face of readers. What kind of reputation you want and you are winning. How do you want to be recognized by others, by your brand or by your name? Do you associate the name of your blog with your theme? Why would you like to be known? All these questions must always be present because they are the ones that will form your brand. There are many ways, but at large ranges can be classified into 5 sources of income in a web or blog. So after the previous notes, it is time to see the different ways to generate income with a blog on the internet. The classic sale of all life but through an online portal, either a pure and hard blog or an online store with a blog. More and more bloggers are deciding to write and sell their books on their blog. In addition to using more traditional advertising and selling them in bookstores, they take advantage of their online channel to sell their books directly to their readers. As if it were an online store, they are responsible for processing and sending orders to reach each customer. Selling books through a blog seems to be the best option for all writers and bloggers who love reading. On the other hand, it is also common to combine physical books with ebooks to sell them on your blog or on Amazon. So the client chooses the format that he likes the most. Are you a handyman? Do you love DIY and craft items? Consider using your blog to sell handmade items through it or use Etsy or Handmade at Amazon. Nowadays, having a blog with your own store is very easy thanks to the WordPress Woocommerce plugin. However, standing out from the crowd is not an easy task. So to use a blog and be consistent with it is essential. Of course, you can sell products already created and use your blog to promote them. It is the typical case of an online store: you buy the cheapest products from a supplier or wholesaler and you endeavor to sell them more expensive through your website and send the orders. But the thing does not end here. You do not have to sell your products. Do not even send them yourself. This is the case of dropshipping. With this model, you are in charge of selling and promoting products from a third company (not all companies do dropshipping) and this company is responsible for sending the order. Of course, this third company takes a commission to sell and send their products to your customers. What is most fashionable now is selling an info-product (or digital product). Selling digital products has many advantages, but without a doubt, the most important ones are that you have no shipping or production costs and that the customer receives the product instantly. Are you a photographer or graphic designer? Why not boost your authority and your income by promoting your images and giving tips on this topic on a blog? As with physical products, this option is paramount for writers. However, the theme of the ebook can be any, so selling ebooks is a good option for any subject. Of course, your ebooks should be worth it. An ebook is a book and it has to be extensive, it is not worth 20 or 40 pages on a subject. The best of all is that you do not have to focus on the sale of the ebook only on your blog. You can use Amazon to sell it perfectly. In my opinion, the key to earning enough money with ebooks is to make more than one and take advantage of all the platforms to make it known. What better way than to be a reference in your sector and sell courses on your subject? This time your blog is the best way to offer the courses. Of course, this takes a great job but it is where blogs that earn the most money in Spain really win. The format can range from ebooks as we saw in the previous point, to courses in membership communities, videos, webinars or even audios (depending on the theme, of course). If you are a crack of the programming and you want to make money with a blog you will only have to get down to work. Create a blog about programming or about a type of software and sell your own software through it. There are many authors of templates and plugins for WordPress, so it is clear that it is a market with enough demand. But of course, the possibilities are much broader. From templates for other CMS to software for companies or mobile apps. Once again, the limit is in your imagination (and your knowledge). Can you use a blog to sell other blogs and websites? Of course, as I mentioned above, none of these things will be sold if you do not transmit confidence and really show that you do well what you do. The process is not simple and every blog or web has its work done. But if you do it well and you position the web or blog, you will not lack buyers. You can even sell your own blog if you decide to start another or because you have already tired. We come to what is probably the fastest way to start making money with a blog. Everyone is good at something. And if you get a position as a reference in your subject you will not be short of the clients that request your services. At this point, you have to think like a freelance. Take advantage of your skills and think what services you could offer. One very common is the mentoring or consulting service on what you excel at. When selling services on your blog you should keep in mind that your time is limited. It is not a scalable way to get money with a blog but if you are looking for “quick money” offering services is a good strategy. But your benefits will depend on your time or the people you delegate. Even so, I think it’s the best way to start earning money with a professional website. By now you should know what affiliate marketing is? As an affiliate, you will be responsible for promoting the products or services of a third party (company or individual professional) and for each sale you make with your affiliate links, you will receive a commission percentage. This source of income is one of the most powerful in the world of blogging. And it is widely used in professional and personal blogs as well as in niche blogs focused on affiliation. You look for a platform with affiliate programs or contact a professional who offers it to sell some of their products. You create your account as an affiliate. The platform will offer you unique affiliate links for you and an account for your sales. Promote on your blog the products or services that you are affiliated with (with your affiliate link). For each sale made through your link, you take a commission. Cobras at the end of the month or when you reach a minimum amount of income with the platform. As you can see, the operation is quite simple. Regarding the forms of being affiliated, you can find from the independent professional who offers it to many platforms. Making money on a blog with advertising is a much more complex world than how to make money online with Google. We enter the most well-known part of Internet advertising: allow ads to appear on your website. We have all seen this type of ads since they are usually placed in strategic areas: sidebar, header, footer or within the content. As a blogger and, depending on the subject and how to earn money that best suits your blog, you must discern between putting ads that compromise the user experience or not use in certain places. Although there are more platforms that use this type of advertising, the best known and used is Google Adsense. Once you register on one of these platforms, they will give you different ad codes to place throughout your website. The ads that are displayed on your blog are not chosen by you, it is Google that makes an analysis of the theme of your website and will show ads related to it (if any) or advertisements that interest your reader. You will get a small profit for each click that users make on the ads. The price of each click will depend on the platform, the theme, the keywords of the page and the competition in that niche. Can you really make money with Google Adsense? This is another question quite common in the world of blogging. The answer is Yes. You can make money with a blog (and a lot) with Google Adsense. In fact, if you want to know how to make money with a Blogger blog (Google’s free blogging platform), this is one way to do it. The bad thing about using Adsense ads as a way to make money with a blog is that you will need thousands of visits to be really profitable and not all blogs are able to reach a sufficient number of visits. This will depend on the niche of your blog but for professional or personal blogs is not an option. For example, in blogs of this type, you would not win more than $ 10 with 10,000 visits per month. A minimum benefit for a large number of visits you would have. So, what types are the blogs that give money through Adsense? However, for blogs of mega niche or niches searched for in order to monetize with Adsense. Yes, that may be a good idea. This type of blog focuses on obtaining large amounts of daily visits to be able to get enough money thanks to Google Adsense ads. 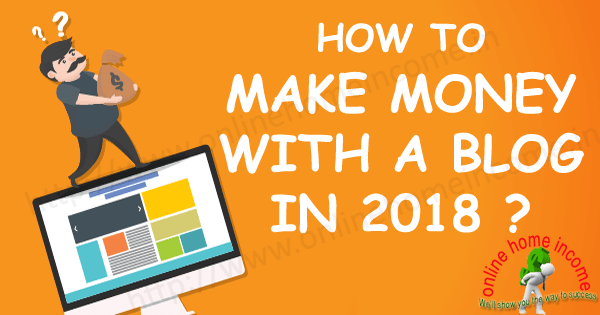 But for this, you will have to make a good market study to find niches that pay well for click and in addition, you will have to have high knowledge in SEO to get to get a good number of visits that will give you an acceptable income at the end of the month. You can use the Google Keyword Planner to know the competence of the keywords. A lesser known type of advertising for blogs is CPA advertising or Cost Per Action. As its name suggests, you will receive a commission every time a user does a certain action. And what are these actions? The actions are very varied; From leaving your phone number or your contact email to conducting surveys, filling out a form, booking a product or service or even making a small purchase. The operation is the same as with CPC ads: you put the ads on your blog and if the user clicks on your ad and takes the action, you will receive money. You have to take into account both sides of the coin in this way to make money with a blog. On the one hand, if it is already difficult for a user to click on an ad (as we saw in CPC advertising), it will be more difficult for them to perform an action on the landing page to which the ad is carried. The other side of the coin is that, although the conversions are lower, the commissions are quite higher than you would earn with CPC advertising. You have to know that users are reluctant to leave some data or even fill out a survey, so if you decide on this monetization route you should create a blog with a lot of authority so that users trust what you promote. Make money with a blog is a project that you should take in the long term. This takes a great job and you must be patient and constant. Walter Ponce is the author of the internet marketing blog WalterPonce.com, where he shares proven strategies, tactics and tools to help you build a business that you love and live the life of your dreams. If you’re working on transforming an idea or a passion into an online business, and you want to start making money online, visit the section about Affiliate and Make Money Online.